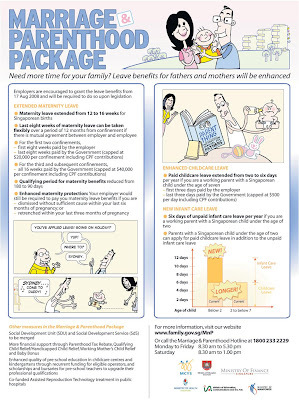 From the today newspaper - compare the first cartoon on the parenthood package implemented wef 17 August (the cartoon was published on 4th Sept on Today) and the views on those surveyed on marriage and parenthood in July 2008. 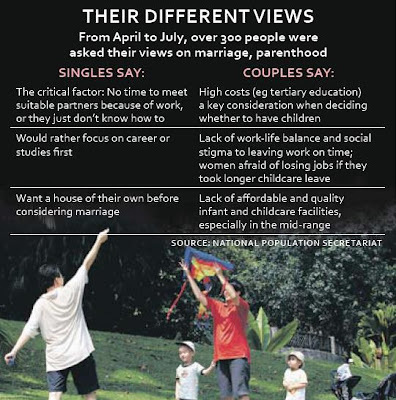 Do you think the new marriage and parenthood package would help to bring up the birth rate? 0 Response to "Parenthood Package 2008"